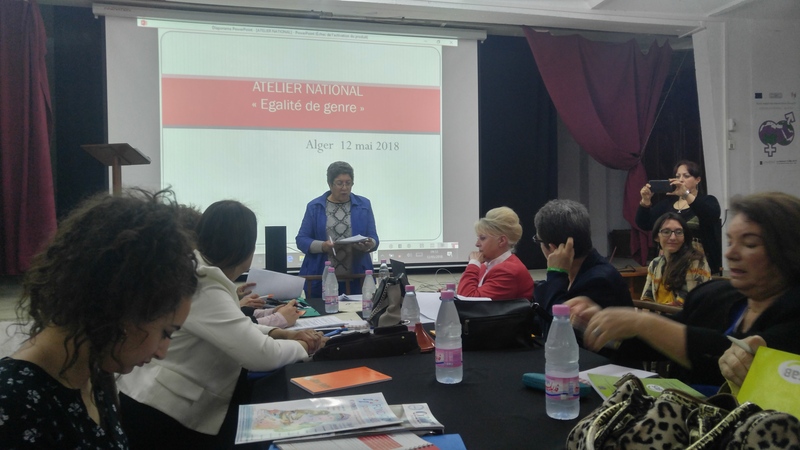 The national dialogue “Following up on the 4th UfM Ministerial Meeting on women’s rights”, supported by the European Union and organised by the Information Center on the Rights of Women and Children (CIDDEF) in partnership with the Euromed Feminist Initiative, took place on 10 May 2018 at Hotel Lamaraz, Algeria. Click here to view the photo album. 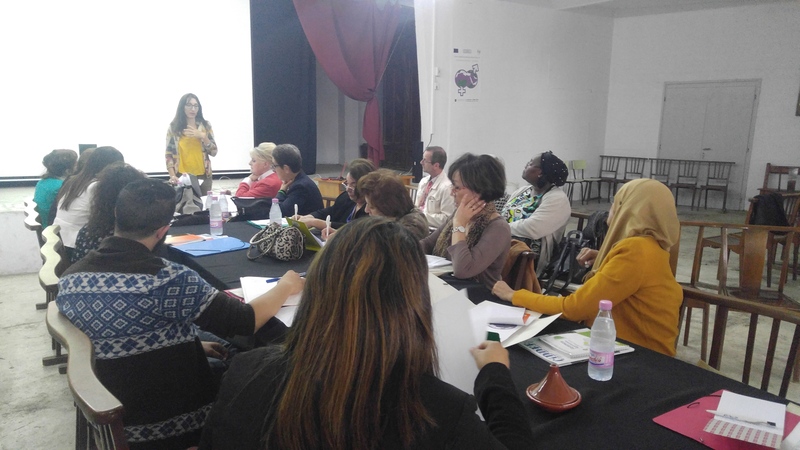 The dialogue was attended by Ms. Isabelle Ribot, European Union Delegation to Algeria and representatives of the Ministry of Solidarity, UN Women, UNFPA, women’s rights and human rights organizations as well as Parliamentarians and researchers. 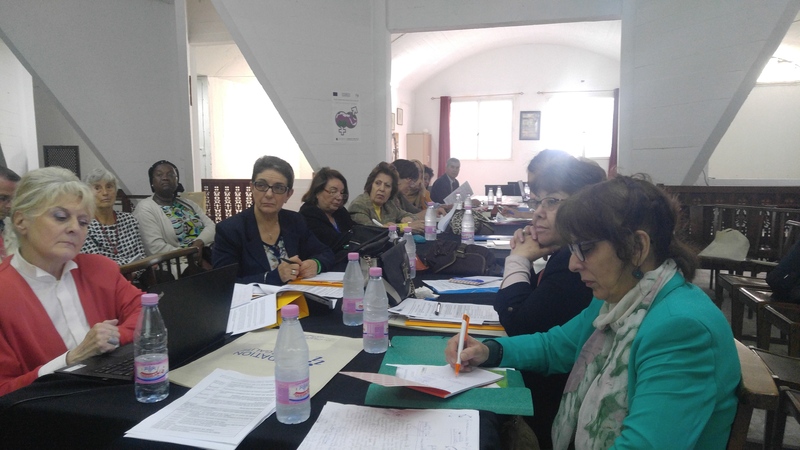 During the dialogue, participants discussed the Ministerial Declaration from the 4th UfM ministerial meeting on women’s rights (27/11/2017, Cairo) and the Declaration of the Civil Society Conference that Euromed Feminist Initiative organized back to back with the Ministerial Conference (22-23/11/2017, Cairo). They also discussed ways and means to follow up on the governmental commitments to implement gender equality policy and national mechanisms for the implementation of the Declaration from the 4th UfM Ministerial Conference on women’s rights. Participants suggested several recommendations, one of the most important recommendations was to hold at least one meeting each year with the European Union to evaluate the governmental implementation of the conclusions.